Perfectly Clear is not your ordinary photo app, filters library, or editing suite. It’s Award Winning, Intelligent Image Correction that improves your images with a single tap. All 18 corrections happen automatically so you get professional-looking photos without tedious and complex editing. And it includes powerful presets like Beautify which makes it easy to look your best every time. – Powerful Photo Browser lets you crop, delete, rotate and more! 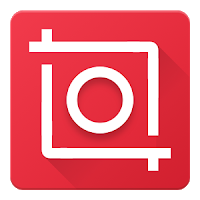 – Quickly flip through your images in a gallery so you no longer need to go to another App to view. – Correct your photos at up to twice the speed. – Correct with one tap directly from the new photo browser. – Can you fit all the power of a DSLR in your pocket? – With Perfectly Clear v4.0 you can. Our advanced camera includes face, blink & smile detection that automatically captures the perfect portrait or selfie, powerful Panorama, amazing HDR, and more. – Plus we’ve leveraged the latest innovations of Android’s Lollipop, giving you full-resolution high speed burst, full-resolution panorama (Nexus 6 & 9), HDR shots of fast-moving subjects, full White Balance control, and more.